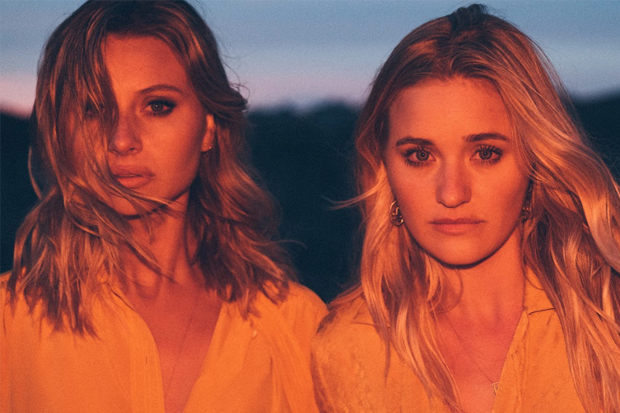 Aly & AJ haven’t put a foot wrong since rebooting in 2017. The duo’s Ten Years EP expertly showcased their new sound (synth-pop with an alt twist) and produced the viral hits, “Take Me” and “Good Love.” As great as those track are, “Church” is easily the Michalka sisters’ best single since 2007’s seminal, Grammy-robbed “Potential Breakup Song.” With its theme of needing to a temporary reprieve — from both the world at large and our own demons — “Church” is very much a product of its time. The video, which was directed Alex Ross Perry and filmed on 16mm at the stunning Samuel-Novarro House in Los Feliz, is a neo-noir dream. It finds Aly & AJ stripped bare (literally, in one scene) and vulnerable as they make their way through the mansion in a haze of neon lights. It’s striking, beautiful and oddly haunting. “Church” is the lead single from the comeback queens’ Sanctuary project, which drops on May 10. They are supporting the release with a headline tour, which kicks off in St. Louis, MO on May 3. Buy tickets here.